After the loss of upper back teeth, your sinuses may enlarge. Before new implants replace the lost teeth, a sinus augmentation or graft restores the sinus cavity to its original position and replaces the bone that has been lost as a result of the enlarged sinus. This new bone graft typically takes four to six months to heal before the dental implants can be placed into the grafted bone. Occasionally, the ideal areas where dental implants are to be placed do not have sufficient bone to place the implants securely. In such cases, it may be necessary to manipulate the bone or “borrow” bone from another area of your mouth to graft into the deficient area or to use bone from a bone bank. We will discuss what is best for each individual case. We have trained extensively with the doctor who invented the sinus augmentation and bone grafting for implant placement, Dr. Hilt Tatum, Jr. When a tooth needs to be removed due to infection, it is not uncommon to have lost bone around the infected tooth. 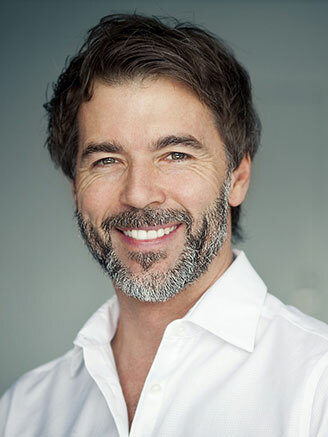 In these cases, various types of bone grafting can be done at the same time the tooth is removed to facilitate the placement of a dental implant at a later date. Often, an implant can be placed and a temporary crown fabricated at the time of tooth extraction. We follow the protocol of Dr. Carlos Rosa, et al., of Brazil who invented IDR, and we were at the first training course Dr. Rosa and his team held in the US. We will discuss what option is right for each individual. Less than 5% of the dental offices in the United States have Cone-Beam Computerized Tomography. We have special 3D software that allows us to evaluate your bone quality, bone quantity, and bone location for the best possible placement of your dental implants. We can also use these scans to have surgical guides and 3D models fabricated, which allow the surgery to be performed in the most predictable fashion. This allows us to work smoothly to ensure an ideal result for your dental implants. Once your dental implant restoration is completed, it is vital to keep the area clean and free of infection. Dental implants can accumulate plaque and tartar just as teeth can. Whether you have just one tooth replaced by an implant or several, professional cleanings will be necessary to keep your implants healthy. The time interval for these professional cleanings will be determined by your individual needs.